One of the biggest reasons that cat owners relinquish their pets is due to accidents in the home. Many times the cats wind up in shelters and are later euthanized. Luckily, there are ways to avoid this situation and we can help cats remain in their homes with their human families. Medical Causes- there are times where they cannot help it because they are sick. Your vet will be able to do an examination to find out if this is the cause. Feline idiopathic Cystitis- FIC is a medical condition in cats that causes frequent urination among other symptoms. They may not make it to the litter box in time. Marking Behaviors- Cats mark for a couple reasons. It could be a sexual behavior, or it could be because of a perceived threat, or even a reaction to anxiety. Environmental/Social Factors- Some cats do not like to use a litter box in a high traffic area. If you have multiple cats and a more dominant cat is using the box, then they may seek elimination elsewhere. There are things that could be done to manage any of these instances. The first is to take your cat to the vet and rule out any medical issues. If there is treatment for an issue then that should be the first step to ensure your cat’s health. The next step is to pay close attention to your cat’s behaviors- are their soiling issues coming from interactions with other cats? 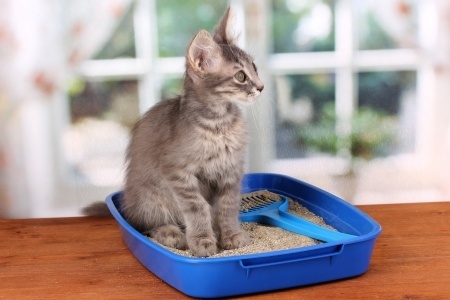 Try to move the location of the litter box, or possibly even have more than one so that there are fewer conflicts. Lastly, take proactive steps to mend the relationship between you and your cat. Having your cat neutered can help prevent spraying, which is one less thing for you to worry about. If they have an accident, do not punish them, because chances were it wasn’t on purpose anyway. Also, make sure to clean the soiled area thoroughly so as to reduce the likeliness that they will soil there again. Check out this electronic Brochure from the American Association of Feline Practitioners for more information and tips on this topic. Hitesh Jethwani on Why Are Cats So Flexible? jose on Why Are Cats So Flexible? Anna on Why Are Cats So Flexible?